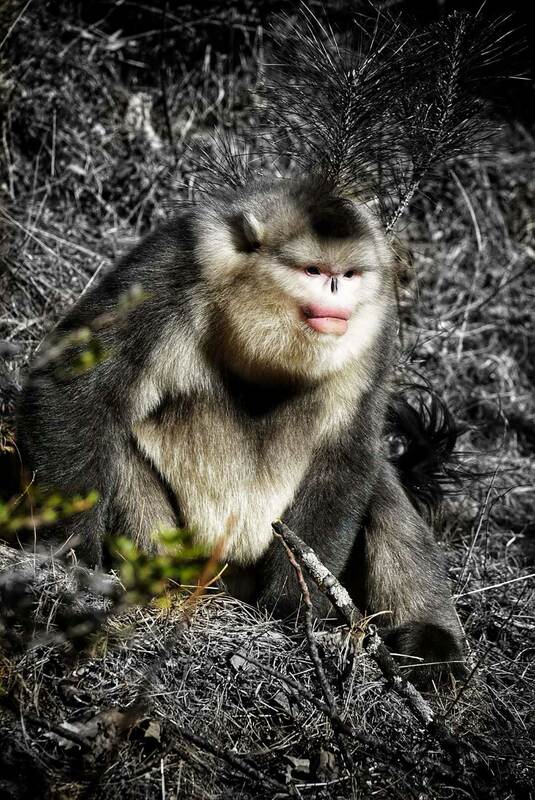 The Yunnan snub-nosed monkey is the most endangered of China’s three snub-nosed monkey species. 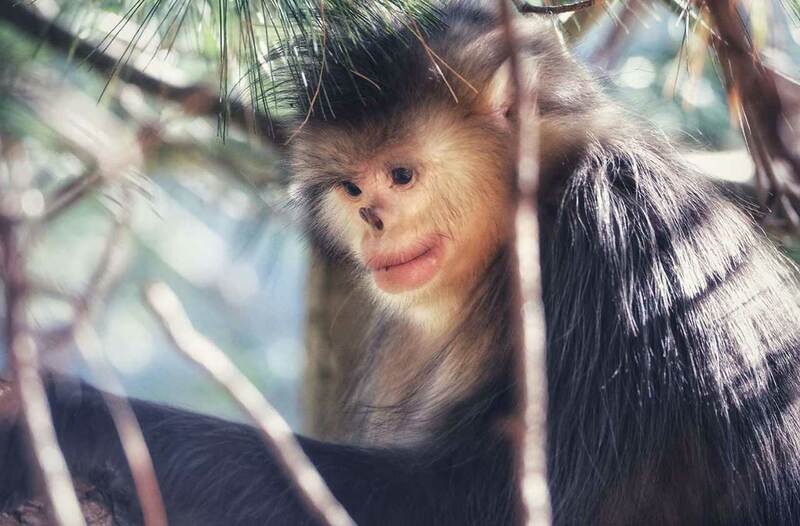 The elusive and shy primate was first spotted in the 1800s but wasn’t studied until the 1990s. They live at the highest altitudes of any known non-human primate where they feed off of lichen. 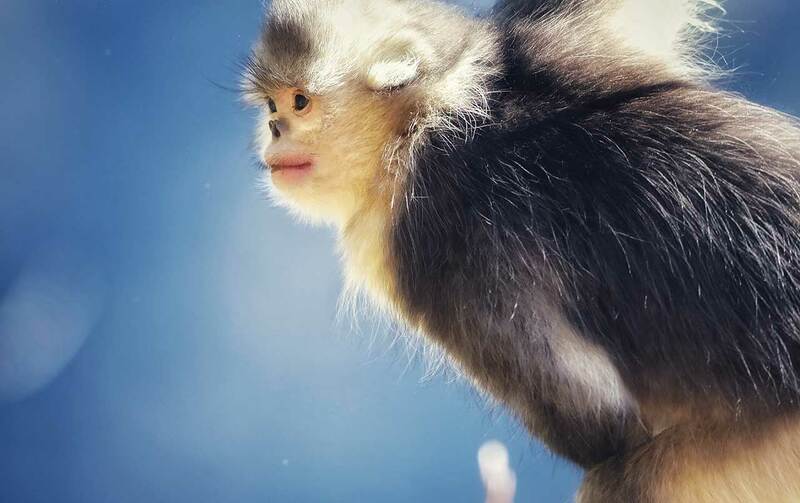 Their survival in such extreme conditions is only made possible by a mutation in the primate’s genomic DNA sequence that makes them resilient to oxygen deprivation. Sadly, deforestation and hunting have decimated the population which is down to 17 groups of less than 1,700 animals in the Yunnan and neighbouring regions. At LUX* Tea Horse Road, you may visit the Baima Snow Mountain Nature Reserve, a sanctuary where these beautiful creatures are protected. One of them in particular, Bailian (white face) is adored by its visitors. After the passing of its significant other, it got attached to humans.